The book The Good Shufu: Finding Love, Self, & Home on the Far Side of the World is a true story of multicultural love, marriage, and mixups. It was published by Penguin Random House’s Putnam imprint in June, 2015, and has been named a Summer ’15 Barnes & Noble Discover Great New Writers Selection. It’s a true story about finding love, hope, and home in the places we always swore we’d never go, and about what we both gain and lose when we surrender our plans, goals, and even homes for that age-old cliche, love. Rather than an ordinary travel memoir, this is a book about building a real life in a language you don’t speak and a land you can barely navigate, and yet somehow finding a truer sense of home and meaning than ever before. 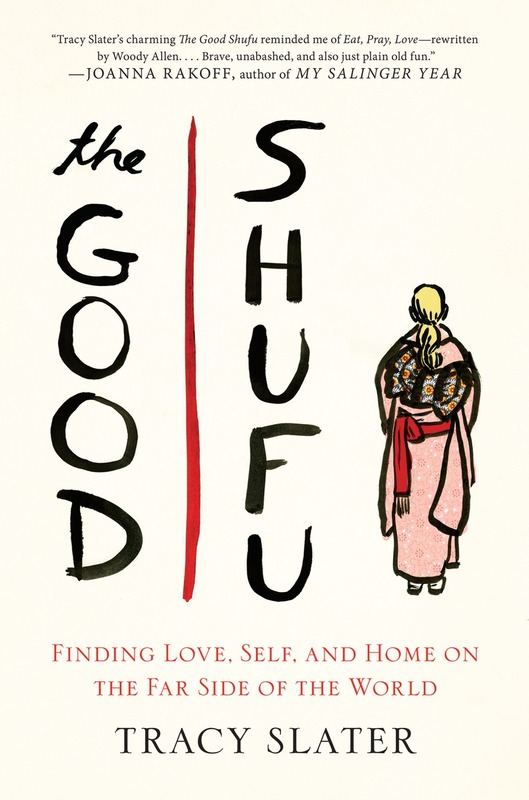 The Good Shufu is now available for order at all major sellers in both hardcover and ebook! Andrea!! How did you find me and this blog? So great to hear from you and be in touch. Think I may leave the punkin’ head scene out of the book, though… Looking forward to staying connected! Hi. How can I purchase your book? Hi Nabi. Thanks so much for your message and your interest! The book won’t be out until early 2015 (!) I’m still in the process of finishing it, and then big publishing companies like Putnam take 9-12 months for final editing, production, and shipping. I hand it in to my editor at Putnam in Jan 2014 and then we will do the final edits, and then they will get started on printing, designing a cover, and organizing the shipping. It’s exciting to get a book contract and (in my case, small) advance before the book is finished, which is the good news, but the bad news is that then it takes a while until you can really share it with readers. Please do follow the blog or check back periodically. I’ll definitely let everyone here know about the book’s progress and, of course, when we have the final publication date. Thanks again for stopping by and for leaving your question, and sending you all mt very best from Osaka on this cloudy Sunday morning! I agree, Tracy– this is all fascinating and all told in your infectious vivacious voice! Can’t wait! Thanks so much, Elisabeth! Coming from the STAR that you are, I’m especially honored! Looking forward to the book, Tracy! Thanks, Bonnie! So sweet of you to have stopped by. Hope all is going great with your wonderful book and, if you are still on tour, with that as well. Thanks, Bob, so much for stopping by and for posting your comment! Your line about falling in love in Japan made me smile: I also NEVER intended to fall in love with someone from so far away and move from Boston. So strange where life leads us, right? In case you didn’t see it, I just a few days ago posted a sort of love letter to Boston after the Marathon Bombings. It’s still on the homepage of this blog. And I hope you’ll consider coming to the next Four Stories Tokyo event–which should be closer to you now than Cambridge! I’m not sure when exactly I’ll be having it (although I’m working on scheduling a June ’13 event in Osaka now), but either way, if you make it to an event on either side of the globe, please introduce yourself to me! We just sent an email over at Four Stories, but wasn’t sure if it was to you. We want to feature your book in our store at Heyamwf.com! We get over 35,880 visitors / month and would love for you to put a guest blog post in our website! We want all our readers to see your stuff, and hopefully you can help our users navigate the intricacies of intercultural relationships! Sorry, please let me rephrase. I meant, is it going to be released on Kindle for people of other countries (e.g. the UK) to read? Also, what is the final price going to be? I see it’s $24 (£15) at the moment which I think is quite expensive. Hi Winter. Thanks so much for your comments and questions about the book. It will definitely be released on Kindle and is already up on Amazon (US, UK, Japan, etc.) for preorder on Kindle. See http://www.amazon.co.uk/Good-Shufu-Finding-Love-World/dp/0399166203/. As for the price, I don’t know what the final price will be–that’s all set and controlled by the publisher, Putnam, who bought the rights to the book, so I have no control over pricing. My guess is that it will stay the same price through its publication, though. Sorry about that! Maybe you could request a copy at your local library and borrow it for free though? In any case, I’m so grateful for your interest in the book! Sending you all my best from Tokyo. I can’t wait to read it when it comes out. So far Amazon.jp says June 30th, but I will keep checking back! Amazing, incredible, fascinating stories where everyone can find a part of themselves, so close to the real life… I am too far away (I live in Bulgaria) but you touched my thoughts and emotions so deeply! I am impressed, excited and waiting impatiently for the book. When and how can I buy it? Darina, thank you so much for your kind comments! I know the book is available on Amazon Japan and UK, etc., so perhaps there is an Amazon that delivers to Bulgaria? It’s available for preorder now here, but I don’t know if that helps you in Bulgaria: http://widgets.penguin.com/Pages/affiliateLanding/index.aspx?isbn=9780399166204. Thanks so much for your interest, though! And sending you all my best from the Tokyo area. Hi Tracy, just finished reading your book (I work in a library and received an advance copy). I really enjoyed it and will recommend it to my patrons and possibly include it in our book discussion group. I lived in Japan as a kid (I am American, living in the US now) and have not been back in 40 years but am hoping to return within the next 2 years. When I was there (in Tokyo) foreigners were not so common and I remember very well being being pointed at and called “gaijin” (mostly by children, I think.). I have always been fascinated by the culture and the people because of my time there but never had the opportunity to go back. You left off in the book before you gave birth. What I really want to know is how is the bi-continental thing working now that you have a child? Best of luck with the book and life in Japan. Jill, thanks so much for your message and for reaching out! I’m so thrilled that you liked the book and grateful that you may refer your patrons to it. If you do include it in your book discussion group, I’d be glad to see if I can work out a time to do a Skype visit with your group, so don’t hesitate to reach out again about that! As for your question, that’s the one question I get most often! It does in fact relate to the topic I’m working on now in my writing, so stay tuned, because I’m about to post–either today or in the near future–a better, more specific response. Although I’ll admit right now that the bi-continental thing is much more a mindset than a reality right now, b/c it is crazy expensive and hard to travel with a little one (and w/out my husband, who doesn’t get the time off to come with us)! We are at home in the US right now visiting family & doing some book promotion stuff, and while it’s totally amazing to be home, I definitely couldn’t do it for months at a time. In any case, thanks again for your lovely message. And do let me know how your patrons and/or book group like the book. Here’s hoping they do!